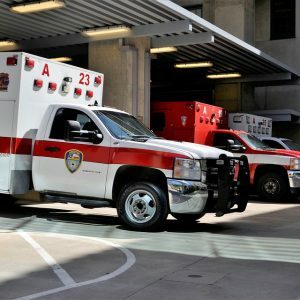 Clarendon, TX (March 19, 2019) – On Monday evening, police and emergency crews responded to the scene of an accident at the livestock and equine center located on the Clarendon campus. Upon arriving at the scene of the incident, emergency crews found sophomore Dalton O’Gorman who had been injured in an incident on campus. Although details surrounding the incident have not yet been released, we know that O’Gorman was part of a 40 member team that was getting ready for a competition this weekend at the Nolen County Coliseum. O’Gorman died as the result of injuries sustained in the incident. Clarendon College issued a statement regarding this matter and offered to provide counseling services to those in need. We would like to offer our sincere condolences to the family and loved ones of Dalton O’Gorman as they try to come to terms with this sudden loss. Our thoughts are with them as they begin to grieve. Texas accident lawyers at the Benton Law Firm work diligently to protect victims and surviving family members to obtain compensation and justice they deserve. This is particularly true for victims who are injured or lose their lives in premises liability accidents. Accidents on other people’s property could result in a personal injury or wrongful death claim if the property owner failed to maintain safe premises for those utilizing the land and buildings. In cases where victims lose their lives in tragic accidents that occur on properties throughout Texas, like college campuses, surviving family members may be able to file lawsuits to receive financial settlements for medical expenses, funeral expenses, and various other damages resulting from the incident. Contacting a wrongful death attorney in Texas will ensure you can earn justice for your loved one. Texas wrongful death attorneys at the Benton Law Firm have helped victims throughout our state recover millions in restitution for injuries, damages, and the loss of life. Contact our law firm at (214) 219-4878 to discuss which legal options are available for you.